I promised myself that I wont be sucked into this iPod business, that I prefer listening to my music coming out from my computer speakers at home, now I just ate my words because I gave in to the iPod hype and with enough reasons. I havent really treated myself to anything recently and as I work more productively with music in the background might as well just give in. And its black and shiny, look, look! So my 4GB iPod nano arrived today. There will be a lot of downloading to do, 1,000 songs mind you. What a technology jewel gadget! I like these things. You are a modern girl! It was a spur-of-the-moment purchase, and I dont regret it at all, especially if you know what’s on my playlist! 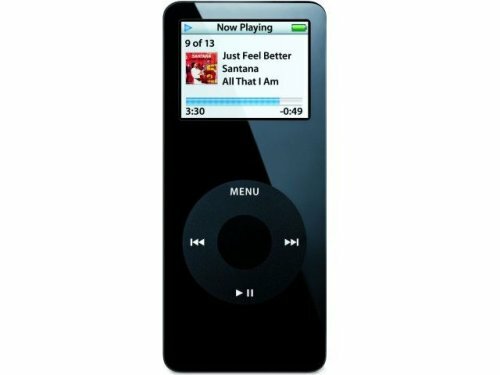 iPod Nano Rocks, although 1000 songs just isnt enough for some users. Hey, thanks for dropping by. I am seriously thinking of switching to a 30 GB one, I am running out of space now.